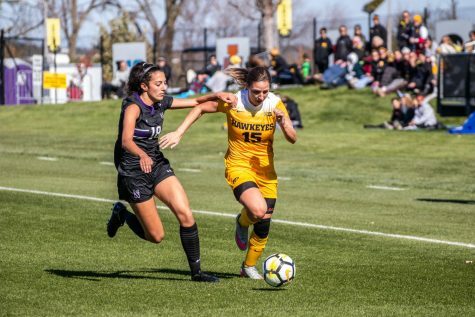 After sweeping the state of Michigan, Iowa soccer is that much closer to the Big Ten Tournament. 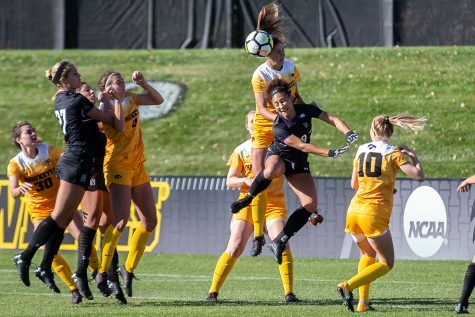 Iowa soccer is on a roll — and it couldn’t have come at a better time. 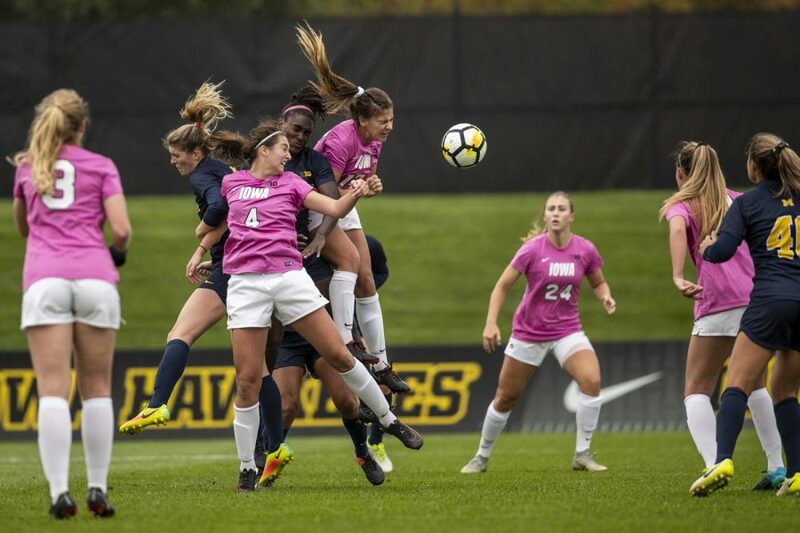 The team earned six crucial points in the Big Ten standings with a win against Michigan State on Oct. 12 and another win against Michigan on Oct. 14. Prior to this weekend’s events, Iowa was in a three-way tie for ninth. After the Oct. 12 game against the Spartans, the Hawkeyes moved into another three-way tie for eighth. Now, after topping top-8 contender Michigan, Iowa in a tie for seventh-place with Minnesota, with 13 team points. 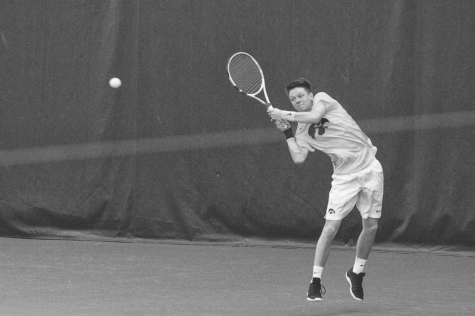 Earning that ranking was not easy for the Hawkeyes. 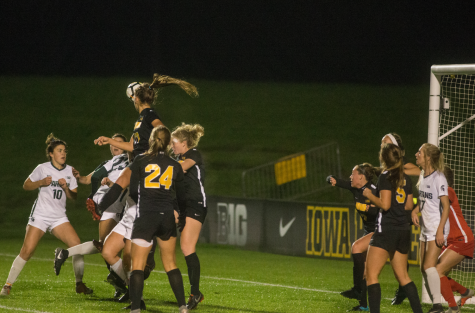 Michigan and Michigan State held Iowa to 1 goal each, but the Hawkeye defense was steadfast. 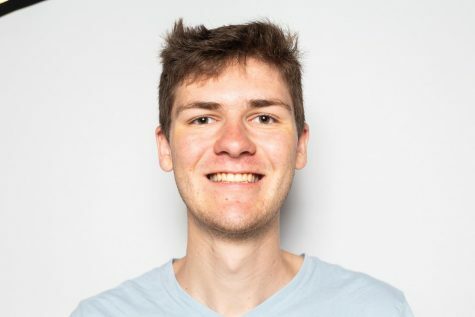 Michigan was held to 7 shots on goal, and Michigan State had 6. Iowa combined to outshoot both teams, 28-13. 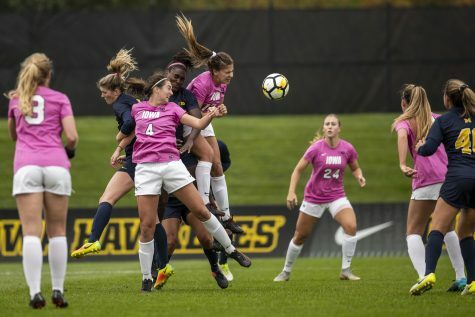 Michigan was quick to attack the Hawkeye defense on Sunday, putting a shot on goal in the sixth minute. Strong defenses held the game scoreless up to the half. But Iowa came in with a new game plan after the second whistle. 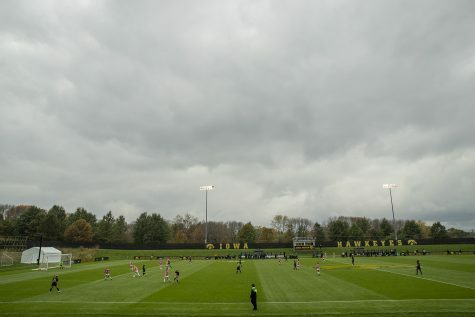 Devin Burns found the Michigan defense flat in the 51st minute and chipped the keeper, scoring the game-winning goal. 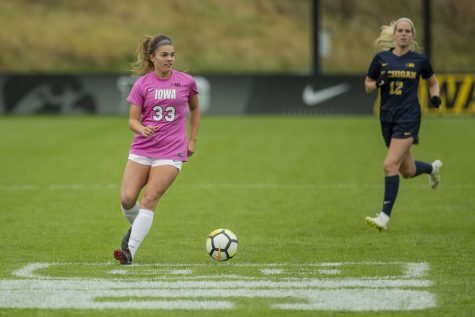 Following the goal, Iowa’s keeper Claire Graves went untested as the defense held the Michigan forwards at bay. The win over Michigan marked three Big Ten wins in a row after starting the season with consecutive Big Ten losses. 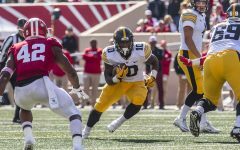 Iowa was much more offensive against the Spartans on Oct. 12. Michigan State keeper Reilley Ott made 4 saves, and the Spartan defense was swarming. 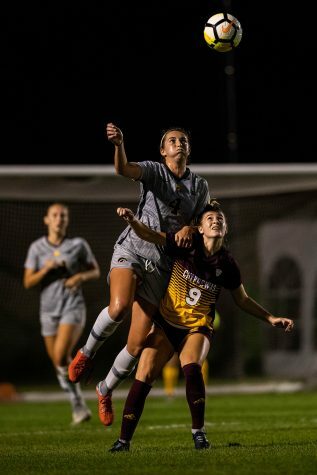 But nonetheless, Iowa’s Hailey Rydberg found the back of the net in the 64th minute with a game-winning strike on an assist from Natalie Winters. Graves recorded a save just three minutes later to hold the Iowa lead. Iowa will play Minnesota in Minneapolis on Thursday to break the tie for seventh. 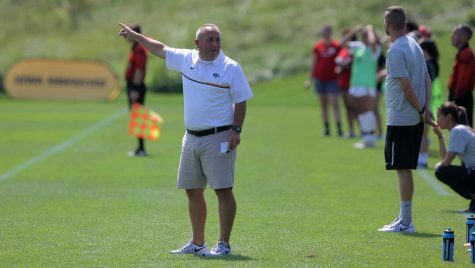 The Hawkeyes will then return home on Oct. 21 to close the regular season against Northwestern. Iowa needs to stay within the top-8 to make an appearance in the Big Ten Tournament. But the Hawkeyes have a plan to do so. The weekend sweep gives Iowa some breathing room. 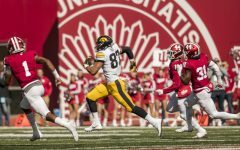 Report Card: How did the Hawkeyes do against the Hoosiers?